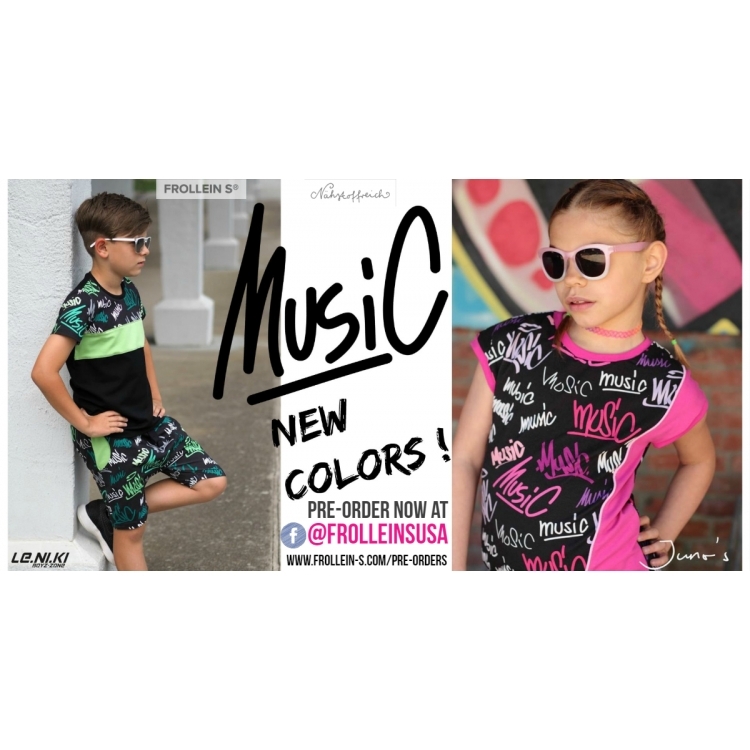 Frollein S® loves Music and this exciting music collection is literally made for every age group. The word "Music" in different colorways printed all over. Simple BUT effective. What would be perfect to surprise your husband, children, grandparent with a sweatshirt, scarf, hat, pants, duvet covers, pillow-cases, you name it! Cotton Jersey – the allrounder. It’s a stretchy fabric, ideal for all elastic sewing projects and very comfortable to wear. With its breathable quality, it is perfect to use for all sorts of clothes and gives your unique project the perfect fit. It's not possible to imagine sewing without this fabric anymore. It’s great for big or small.